Cost effective, fast, reliable and secure enterprise grade web hosting. Your website needs to be hosted somewhere fast and reliable. 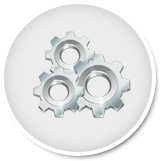 Host with us to receive all the features you need; tight security, fast page load times and 99.9% uptime. Talk to our experts at 1300 736 600 to know more about shared hosting! Unlike many of our competitors, we engineer our servers to operate at peak performance, rather than packing our servers with lots of customers. Our focus is keeping our clients happy in the long term. Our customers have come to expect the best from our service for good reason. Our Australian data centre provides consistent fast page loads with 99.9% uptime. Our standard Dell servers run Intel Xeon processors with plenty of RAM and SCSI hard drives. We don’t mind spending a little extra to keep our customers happy, because we plan to keep them for a long time. Our security levels are enterprise grade with high-end SPAM filtering and virus protection software. You can be sure your data is safe with us. We are a technology company that delivers solutions not just technology. Our customers keep coming back because we solve their problems rather than simply sell a shiny box. Our primary focus is providing you the right solution for your situation. We don’t lock you in and provide you with affordable web hosting. Did someone say money back? If you’re not happy within our service in 30 days, we provide you a full refund. It’s that simple. Were are so confident that you are going to be ecstatic with our customer service that we do not have any lock in contracts. If you’re unhappy, you can leave at any time. We monitor our infrastructure closely and proactively identify potential issues before they occur. We and are available via phone, email or chat 24×7. Point us in the right direction and we can manage the entire transfer of your current website to our hosting servers. It’s all part of the service. All our packages come with everything you need from a hosting provider. Need something out of the ordinary? Let us know. Access reporting on your website performance by analysing, trends and your busiest periods. The best way to increase success is to track it. User-friendly Control Panel (CPanel) allows you to mange back end functions if you want to. You can control as much as you want or leave it all up to us! We support the leading programming languages: PHP 5, ASP, .NET 4.0, PERL.We offer Linux and Windows environments covering needs of any customer. Not sure which hosting is right for your business? View our services below or contact us on 1300 736 600 to ask us to create the right package for you. We offer quality reliable hosting with a smaller price tag. 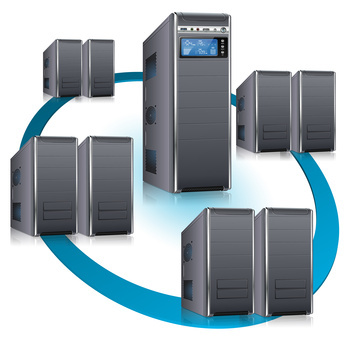 Resources are shared with a common IP address making hosting more affordable. Your own virtual server on shared hardware means you have control to configure your server and install software that you require with a dedicated IP. VPS Details. If you need complete control over your environment or have a high volume of traffic, dedicated hosting is for you. Complete Cloud can create the right package for your business. Dedicated Hosting details.